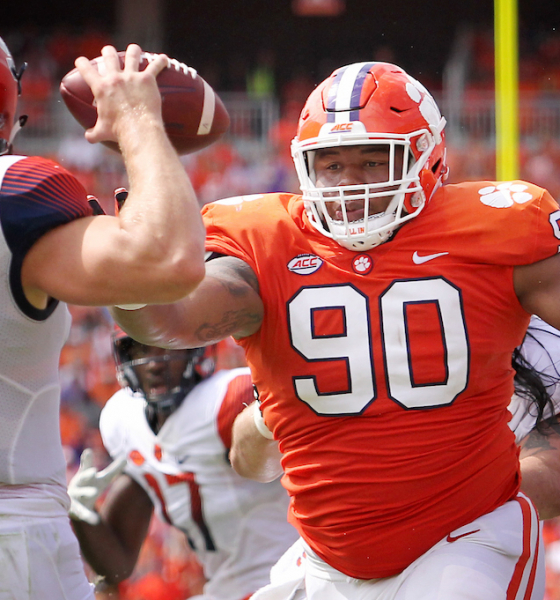 Clemson University led the ACC with eighteen all-conference selections this football season, the league office in Greensboro, North Carolina announced on Monday. No word yet on whether Tiger fans will complain that not enough Clemson players were chosen … although based on yesterday’s testy conference call with head coach Dabo Swinney, our advice would be to refrain from forwarding any displeasure toward him. The Tigers – fresh off of an undefeated regular season and their fifth straight win over arch-rival South Carolina – registered five first-team selections, seven second-team choices and six third-team picks this year. Leading the way? Sophomore running back Travis Etienne, who led the conference with 1,307 rushing yards and 20 touchdowns. 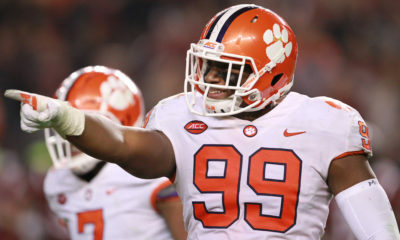 Etienne received 174 points from the voting panel of coaches and sportswriters – making him the highest vote-getter in the conference (and an early favorite for player-of-the-year honors). Joining Etienne on the first-team offense was offensive tackle Mitch Hyatt, who earned first-term honors for the third year in a row. 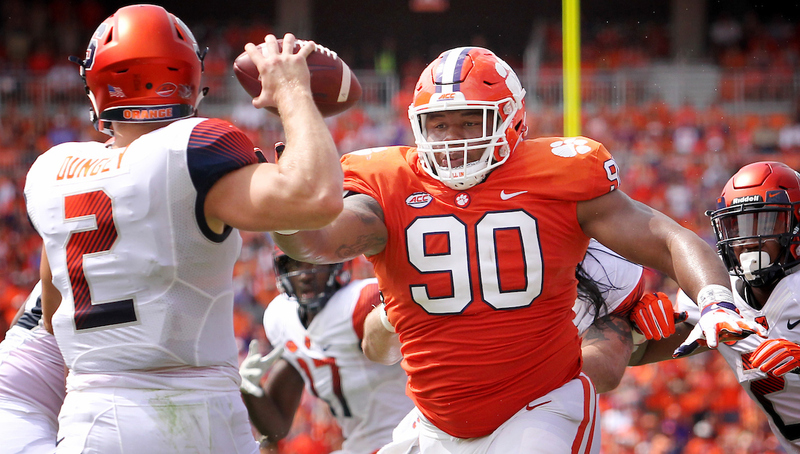 Hyatt anchored a line that included all-ACC players at every position … same as Clemson’s heralded defensive front. 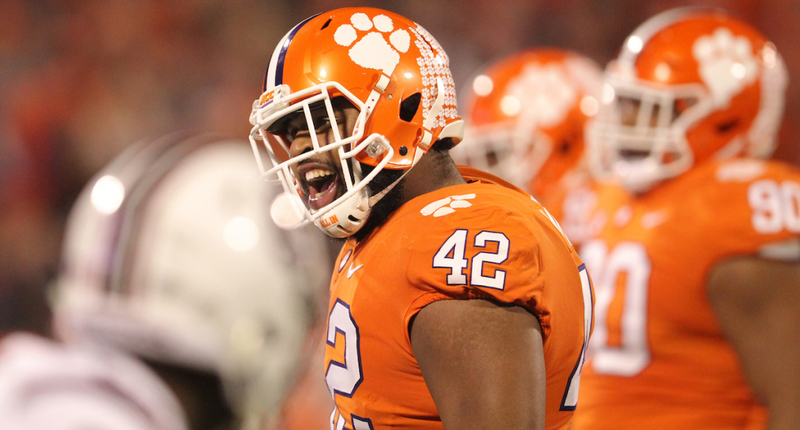 On defense, tackles Christian Wilkins (above) and Dexter Lawrence were joined on the first team for the second year in a row by defensive end Clelin Ferrell – the conference leader in quarterback sacks. All three of these Tiger defensive linemen are projected first round picks in next year’s NFL draft. 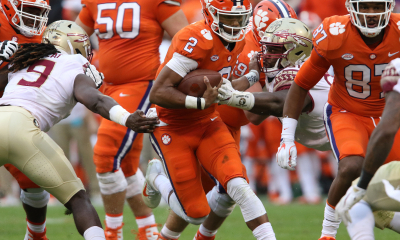 True freshman quarterback Trevor Lawrence was named the ACC’s second-team quarterback – which is pretty impressive considering he began the year splitting time with graduate senior Kelly Bryant. Lawrence made his first start against Syracuse in week five, prompting Bryant to quit the team in protest. Lawrence has completed 200 of his 302 throws for 2,488 yards and 22 touchdowns so far this year – throwing just four interceptions along the way. He has also run for 126 yards and scored one touchdown on the ground. 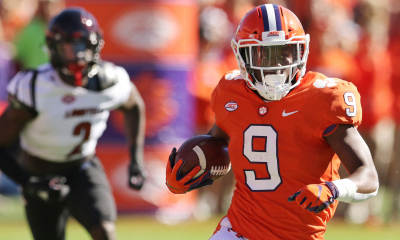 Joining Lawrence on the second team were sophomore wide receiver Tee Higgins and three more Tiger offensive linemen – junior tackle Tremayne Anchrum, junior guard Sean Pollard and graduate center Justin Falcinelli. On defense, junior cornerback Trayvon Mullen and junior linebacker Tre Lamar were made second team selections. 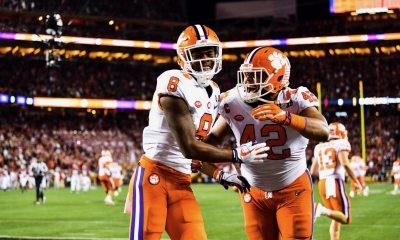 Clemson’s third team selections were led by graduate wide receiver Hunter Renfrow, the former walk-on whose clutch catch clinched Clemson’s 2016 championship. 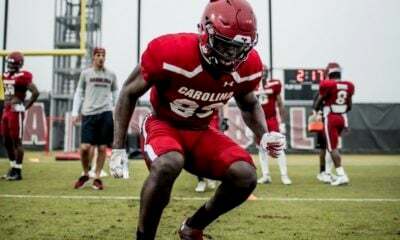 Joining him were junior offensive guard John Simpson, senior defensive end Austin Bryant, graduate linebacker Kendall Joseph, sophomore cornerback A.J. Terrell and junior safety Tanner Muse. Clemson has been a juggernaut of late, becoming a virtual lock to win the ACC every year as well as a fixture in the College Football Playoff (CFP). Driving the success of the program? A pipeline of recruiting talent that rivals that of any other program in the nation – except perhaps defending national champion Alabama. 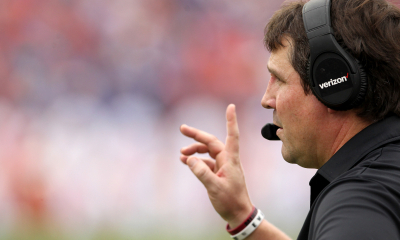 Will Muschamp Got A Raise?